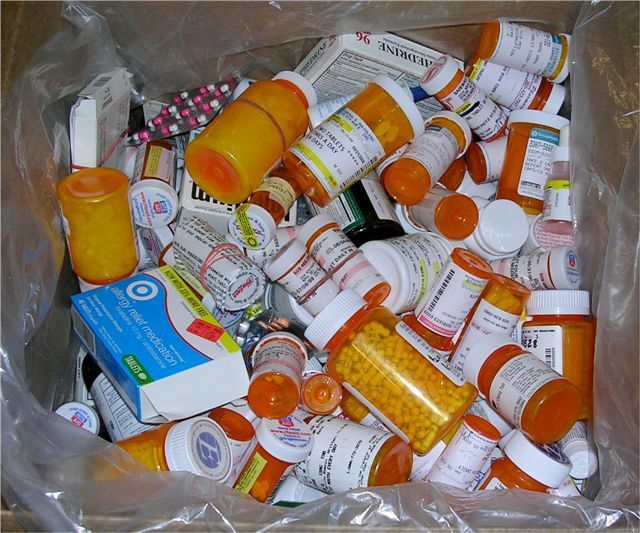 Three years ago, Alameda County, California (PDF) became the first county in the nation to require pharmaceutical companies to pay for the safe disposal of prescription medication. Trade associations representing drug manufacturers sued and lost in federal district court and in the Ninth Circuit Court of Appeals. On May 26, the Supreme Court refused to hear their petition to review the Ninth Circuit's decision. King County's ordinance is similar to Alameda's and the decision is expected to smooth implementation. In California, in addition to Alameda County, San Francisco, San Mateo, and recently Santa Clara, counties have all adopted extended producer responsibility (EPR) policies for pharmaceuticals. For more on pharmaceutical EPR, see the Product Stewardship Institute fact sheet (PDF) and the California Product Stewardship Council website. The Oregon House Committee on Energy and Environment held a May 14 informational hearing on HB 3251-1 (PDF). The bill would establish a product stewardship program for household hazardous wastes (HHW) beyond paint. It would cover products most appropriately returned to HHW collection facilities and events (e.g., corrosives, toxics, FIFRA registered), and exclude products where efforts to establish a return-to-retail option are being considered (e.g., household batteries, mercury lighting). The bill was developed by Metro and is intended to help start a stakeholder dialogue with industry, local governments and other interested parties on the concept. Watch video of the May 14 hearing. Update and reauthorization of TSCA continues to gain momentum in Congress. In the U.S. Senate, the Frank Lautenberg Chemical Safety for the 21st Century Act (S. 697, known as the "Vitter-Udall bill") has 40 diverse co-sponsors at this writing. The U.S. House Energy and Commerce Committee unanimously approved the TSCA Modernization Act of 2015 (H.R. 2576 (PDF)) on June 3. (Both bills continue to evolve, so check for updates before reviewing something that might be out-of-date.) Both bills include troubling language pre-empting state action under certain conditions, and there is no consensus at the moment from state environmental agencies or attorneys general, but some recent improvements to bill language look promising. While generally supportive of TSCA reform, both the Safer Chemicals, Healthy Families coalition and the Environmental Defense Fund voiced concerns about remaining issues. Prior to the June 3 hearing, a New York Times editorial also weighed-in on both the House and Senate efforts and the urgent need for TSCA reform. 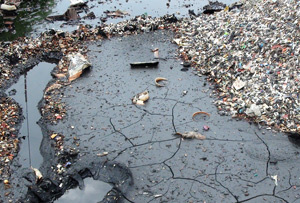 "Hidden in an unknown corner of China is a toxic, nightmarish lake created by our thirst for smartphones, gadgets and green tech, discovers Tim Maughan" as part of a "journey up the global supply chain, tracing back the route consumer goods take from China to our shops and home." – the BBC. A WIRED magazine article by Michael Blanding and Heather White on the health and safety conditions in electronics factories in China examined workplace chemical exposure and lack of employer compensation for occupational injuries. Injuries discussed include nerve damage from exposure to n-hexane and leukemia from exposure to benzene; both are chemicals used in the manufacturing of cell phones. The authors found numerous cases of employers refusing to compensate for injuries, using legal loopholes and denying exposure to chemicals. "The spread of handheld electronics is creating a growing stockpile of e-waste, but some companies say there's value in discarded goods." — the Wall Street Journal. The Oregon Department of Environmental Quality (DEQ) held a statutorily required paint product stewardship stakeholder meeting on May 27 to review PaintCare's 2014 Annual Report. Representatives from PaintCare, local governments, DEQ and others attended. Discussions included program cost-effectiveness, collection sites, and promotional activities. Other questions were about PaintCare's investments in equities, mutual funds and other non-guaranteed financial instruments that showed an investment loss of $5111 for the last month of 2014; these investments are not part of PaintCare's approved Program Plan and DEQ is reviewing this and other concerns with the investments. View DEQ's May 20 response to PaintCare's 2014 Annual Report. The Washington Department of Ecology uses funds from the Model Toxics Control Act (MTCA) to fund Coordinated Prevention Grants (CPG) to support recycling, composting and diverting waste. This year's budget request included $29.6 million of Local Toxics Control Account (LTCA) funding for CPG in the 2015-2017 biennium. Both the House and Senate-passed capital budget proposals include $15 million in LTCA funding. If enacted, this would result in a 49% reduction in CPG funding for local governments in the 2015-2017 biennium. Ecology has formed a workgroup to advise on how to allocate grant funding if the final budget comes in at $15 million. Ecology will work with the CPG Workgroup to develop a funding allocation that is fair and equitable for all grant recipients. The first CPG Workgroup meeting will be a June 10, 9am – 1pm WebEx conference call and is open to all CPG recipients. Email or call Sharon Hlavka at 360-407-6223 for more information about how to join the call. For information about how MTCA funding works, see Ecology's March 2015 MTCA fact sheet (PDF) for more information. Two proposed stewardship plans – King County MED-Project LLC and ReturnMeds LLC – were submitted to King County for review by the February 12, 2015 compliance deadline. Both plans were rejected; a revised proposed stewardship plan must be submitted to King County no later than July 13, 2015. To promote the use of one pound refillable gas (propane) cylinders for camp stoves, portable grills and lanterns, the ReFuel Your Fun campaign was developed by local government agencies and other partners through a grant from CalRecycle, and is administered by the California Product Stewardship Council. ReFuel Your Fun estimates that every year in North America, 40 million disposable one-pound propane cylinders are used, with over four million in California alone; because of limited, expensive recycling options, the empty cylinders are often disposed of improperly in landfills, dumpsters, household trash, campsites, on the roadside or in recycling containers. — ReFuel Your Fun and Save. CPG Workgroup (WebEx conference call): June 10, 9am-1pm Pacific. Open to all CPG recipients in Washington; email or call Sharon Hlavka at 360-407-6223 to join. PAC NEXT and Waste Management are sponsoring a tour of and networking lunch at JMK Fibers on June 23 (there is a $30 fee to cover costs, including lunch). JMK Fibers handles recyclables from single stream curbside collection and other materials from throughout the region. PAC NEXT, an initiative of PAC - Packaging Consortium, envisions "A World Without Packaging Waste." Those interested in packaging design and recyclability are invited to attend. Visit PAC NEXT to register and find more information. The Northwest Product Stewardship Council (NWPSC) is a coalition of government agencies in Washington and Oregon working on solid waste, recycling, resource conservation, environmental protection, public health and other issues. Together with non-government agencies, businesses and individuals, we form a network that supports product stewardship and extended producer responsibility (EPR) policies and programs. For more information, contact info@productstewardship.net or visit us at www.ProductStewardship.net. Subscribe to the NWPSC Newsletter. For current subscribers: update your email, password, or unsubscribe on the Subscriber Preferences Page (you will need to use your email address to log in). If you have questions or problems with the subscription service, please visit subscriberhelp.govdelivery.com.